The Woodward Arts & Theatre Council is dedicated to maintaining two facilities for cultural activities and art related programs benefiting Woodward and surrounding rural communities. The Council owns a 1920’s vintage theatre, which was restored by volunteers in 1981. Originally built as a motion picture theater, the Woodward Arts Theatre was, at the insistence of the original ï¬nancier, constructed complete with stage, dressing rooms, orchestra pit, balcony, and a fully functional ï¬‚y loft for raising and lowering of backdrops and stage curtains. With the completion of the theatre balcony restoration in 2004, the Theatre seating was increased to it’s full capacity of 500. The adjacent historical building was purchased, similarly restored, and dedicated in 1993 to be the Josie Adams Cultural Centre, a venue for art exhibits, art camps, receptions, dinner theaters and community functions of various kinds. On December 4, 2008 the National Park Service listed the Woodward Arts Theatre in the National Register of Historic Places, which is the Federal Government’s official list of historic properties worthy of preservation. The Theatre is also listed in the Oklahoma State Register of Historic Places. Following the purchase and restoration of the Theatre, the Woodward Arts Council began to provide a certain amount of event programming to be held in the Theatre, as well as rent out the Theatre for local thespian group presentations and occasional privately promoted events. Event programming provided by the Woodward Arts Council has expanded over the years, and now consists of a Summer Children’s Arts Camp, a 3-4 concert series, occasional dinner theater performances, a residency week with professional actor/directors for children, Christmas shows, Western Art Show & Sale, and Spring Youth Art Show. Staff necessary to produce this programming and manage the buildings currently includes 2 full time employees (Executive Director & Administrative Assistant), and a part time janitor. Funding comes from membership dues; investment income; grants from the Oklahoma Arts Council, Mid-America Arts Alliance, and the National Endowment For The Arts; private corporate support; ticket sales; registration fees for various programs; and rents. In 2006, the Council sought the services of an architectural ï¬rm for a feasibility study of full building restoration, a large undertaking, but one the Council hopes to pursue in the future. 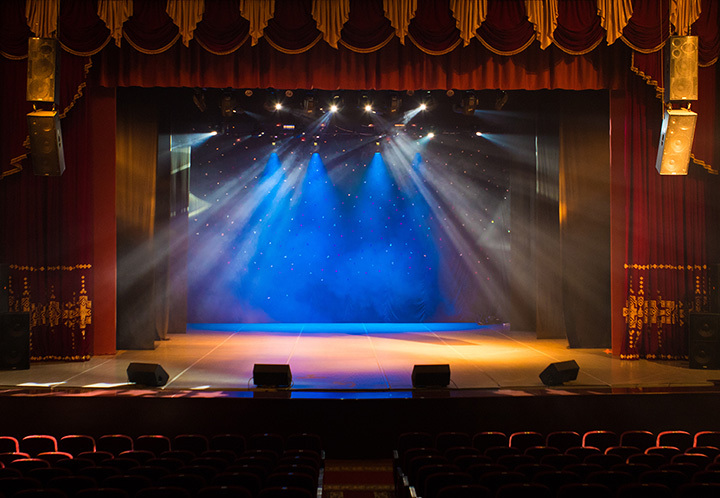 Alied to its historical significance, The Woodward Arts Theatre and Josie Adams Cultural Center complex is one of the hubs of arts, cultural, and social activity inall of Northwest Oklahoma. In addition to arts & cultural events, the facilities are also used for conventions, corporate meetings and other business functions being held in Woodward. The City of Woodward’s location makes it a center of wide variety of activities, not only for northwest Oklahoma, but Southwestern Kansas and the Northeastern part of the Texas Panhandle. The few similar sized auditoriums in this area are school owned and subject to use for many school activities as a priority to other activities. In short, the Woodward Arts Theatre is a unique and valuable asset which enhances the quality of life in Northwest Oklahoma, and promises to play an integral role in the future as our citizens pursue cultural, tourism, and economic development related goals.